One of the chief drivers of Women in Construction Week is the National Association of Women in Construction (NAWIC). 2015 is also the year that NAWIC celebrates its 60th year as an advocacy group for integrating the construction field. NAWIC’s big push this year was for blood drives from chapters across America, to bring attention to the dedicated female construction professionals across the nation. However, advocacy happens all year long, in the form of numerous events and initiatives. Meet-ups like the Groundbreaking Women in Construction Conference (GWICC), where women at all levels of the construction industry can meet to plan future progress. The next GWICC will be held May 15th in New York City. The “Change the Skyline” program, to inform female students at both the school and university level of the career opportunities that await them in construction. Continued work by advocacy groups like NAWIC, Professional Women in Construction, and Nontraditional Employment for Women (NEW). According to a study reported by USA Today, only 3.2% of manual construction workers in the US were women in 2014. In order to fix this, NEW has organized arrangements with unions for female construction internships. At Lance Surety Bonds’ blog, we provide 3 great ideas for how female contractors can increase their competitiveness for federal contracts. The University of Salford’s Centre for Construction Innovation launched a social networking site for women in the construction industry. Courtesy University of Salford Flickr. However, women in construction still face an uphill climb. In fact, as women in construction, they still face dual challenges. Not only are they women in a male-dominated field, but a blue-collar one. As women in a field of labor, their challenges are often under-reported in favor of more white-collar vocations. In studies of gender-segregation in the workforce, fields like construction tend to be given short shrift. For instance, a New York Times report from 2012 largely focuses on gender segregation in white-collar professions—of the dozens of listed fields, only 4 are blue-collar. In order to raise awareness, organizations like NAWIC or the Women’s Mining Coalition are working to bring the spotlight to women’s efforts in these more labor-oriented fields. Despite the hard work done by trailblazing women in the field of construction, it remains a male-dominated field. Of the 7.1 million construction professionals employed in the US, only 2.6% were women. It’s an international phenomenon, too. The European Union’s equivalent of the Occupational Health and Safety Administration (OSHA) explains that in construction, “men make up the majority of the industry’s workforce.” One study from researchers at Cornell University found that construction has actually become more male-dominated between 1970-2009. The industry is also proving resistant to change due to economic shifts. According to the study, not even the popping of the housing bubble in 2008 and the subsequent financial crisis reduced the gender-segregation in construction. If this is to change, the data show that the market won’t fix it. It’ll be due to the hard work of advocacy groups like NAWIC, and the countless hard-working female construction professionals whom they represent. One major study of gender-integration in labor fields admits that the benefits are “often anecdotal,” it’s proven that male-dominated fields make more than traditionally feminine ones. Consequently, women in male-dominated fields will make more. For the field overall, though, the benefits might be more abstract. Women in construction bring the same dedication, but provide a fresh collaborative perspective. Diversity in a field brings innovative thinking. While entering the field remains difficult for women, here at Lance we’ll see to it that getting your contractor license bonds remains the easiest part. 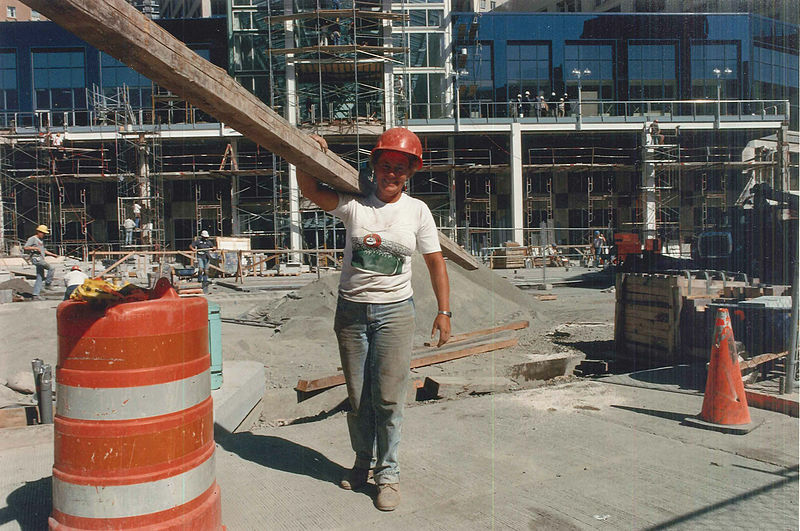 Have you seen any events in honor of Women in Construction Week that are worth highlighting? Let us know in the comments below.